There's no such thing as too much glitter! 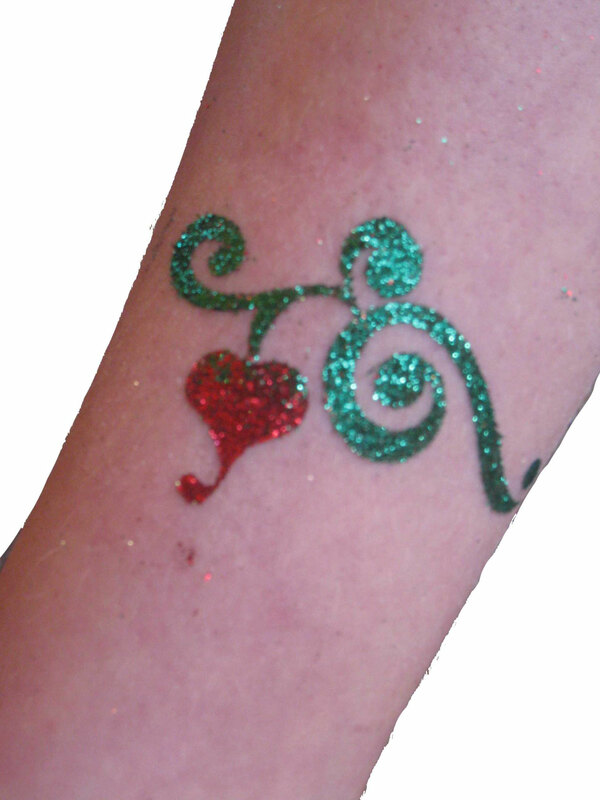 Glitter Tattoos started as a popular body art service in European nightclubs & festivals. The Facial Expressions team of glitter tattoo artists now bring this trend to Calgary. 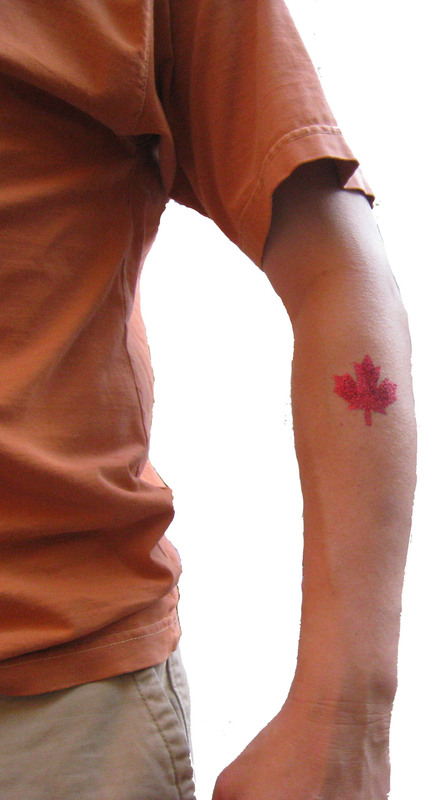 The tattoos are applied with cosmetic glue & cosmetic grade glitter. It is very important that ONLY cosmetic grade glitter is used because, in contrast to glitter, ours is not made of metal & doesn't have any sharp edges. 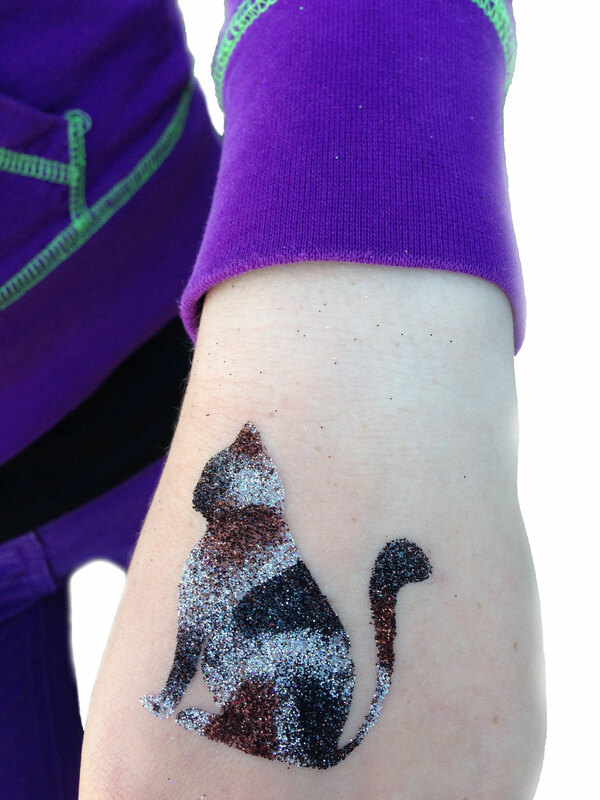 Because glitter tattoos are sparkly & glamorous - they are perfect for girl's night's out & stagettes. If course, they are also a fantastic add-on activity at pool, lake & spray park parties because they are waterproof. Glitter tattoos can last from 3-7 days, depending on skin type, placement & care. 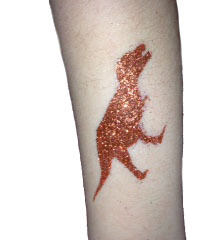 Glitter tattoos don't last as long if they are placed on the inside of the arm because there is a lot of friction there when you walk. Outer arm placement is better. 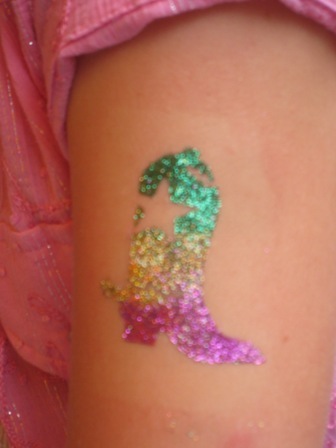 Designs for glitter tattoos range from ponies & rockets to hearts & flames. They are available in a huge array of colours - including UV reactive glitter which will glow under "black" or UV lights - perfect for Glow parties.